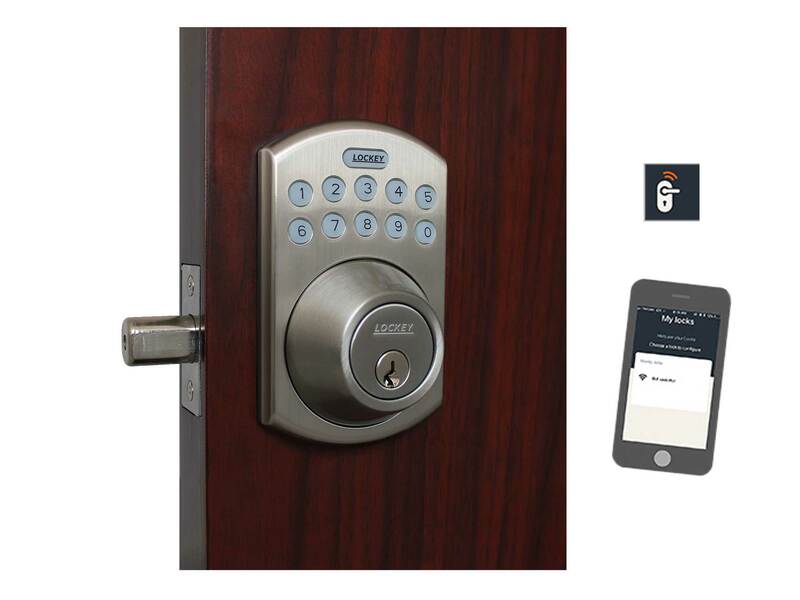 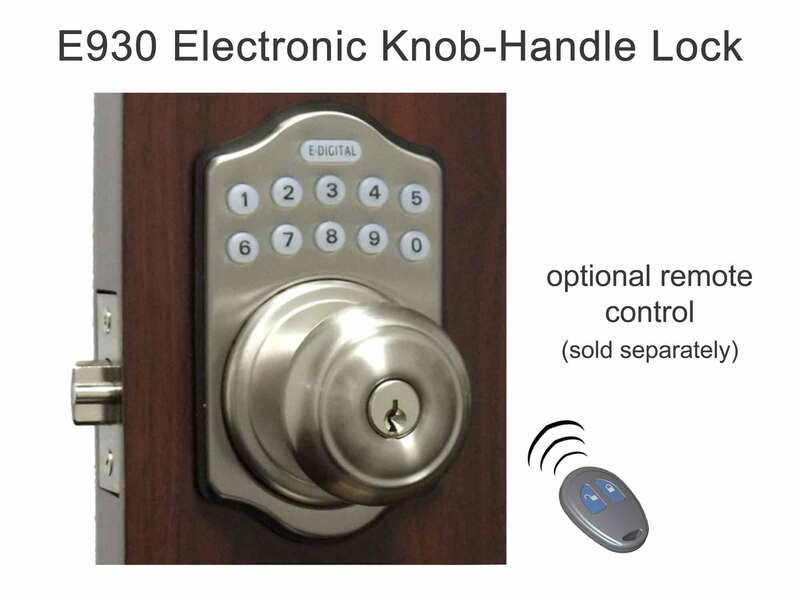 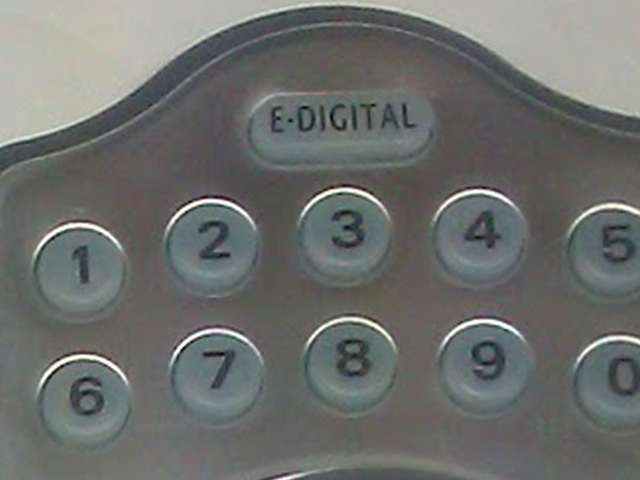 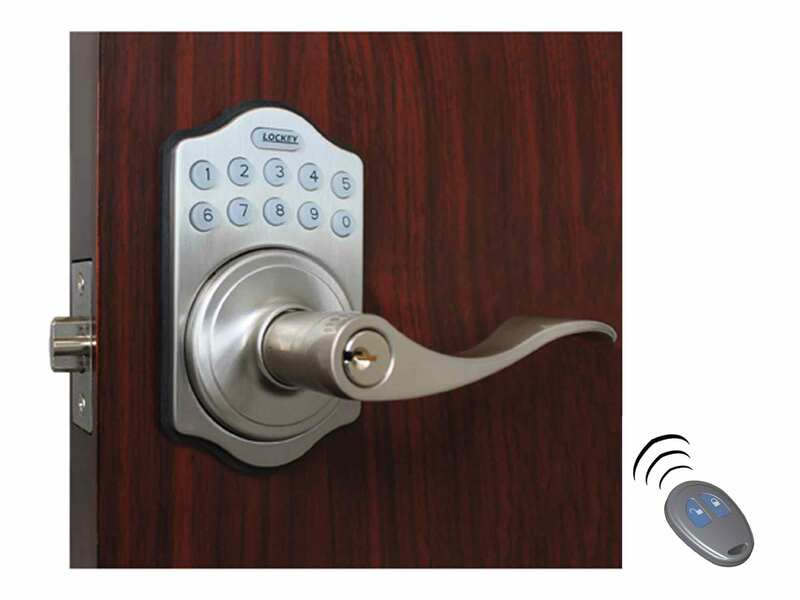 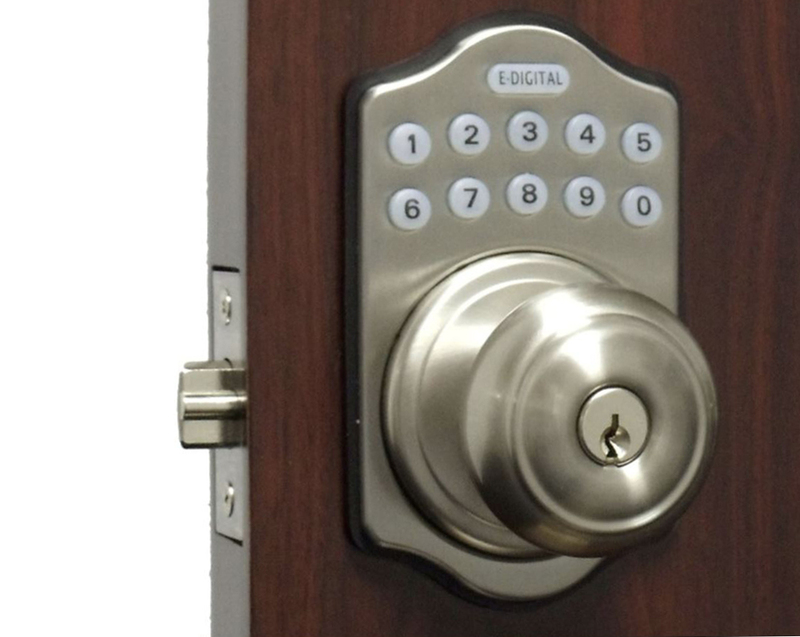 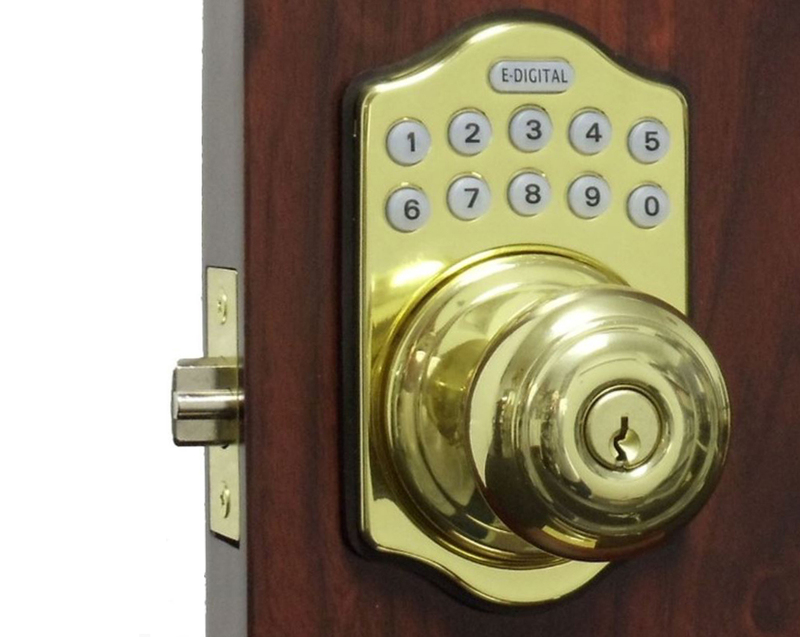 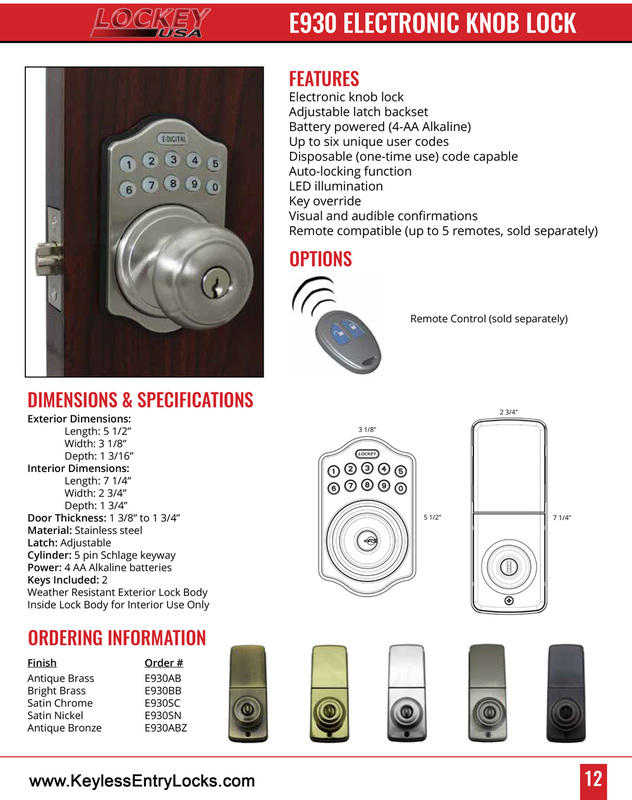 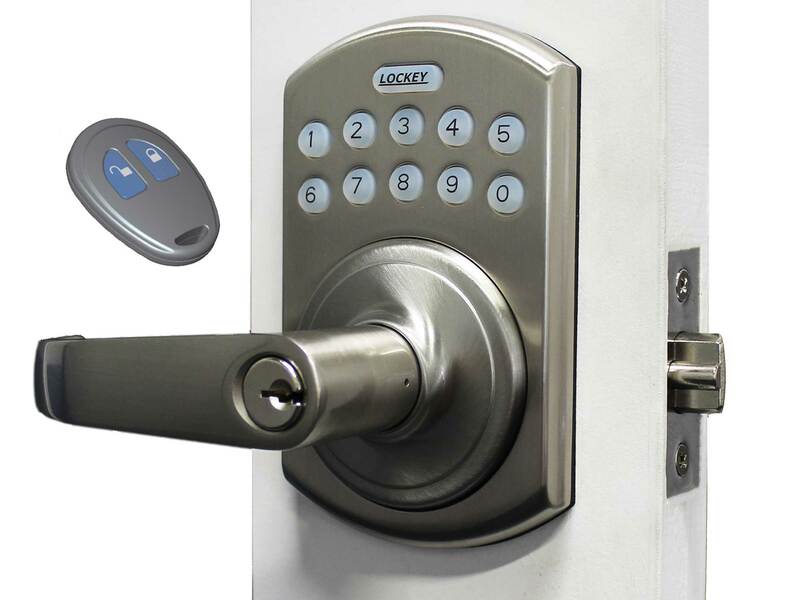 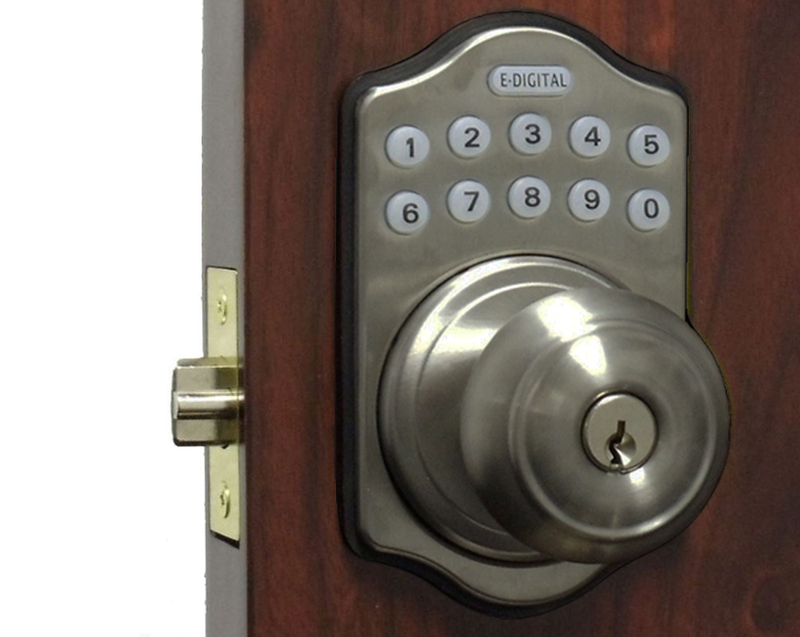 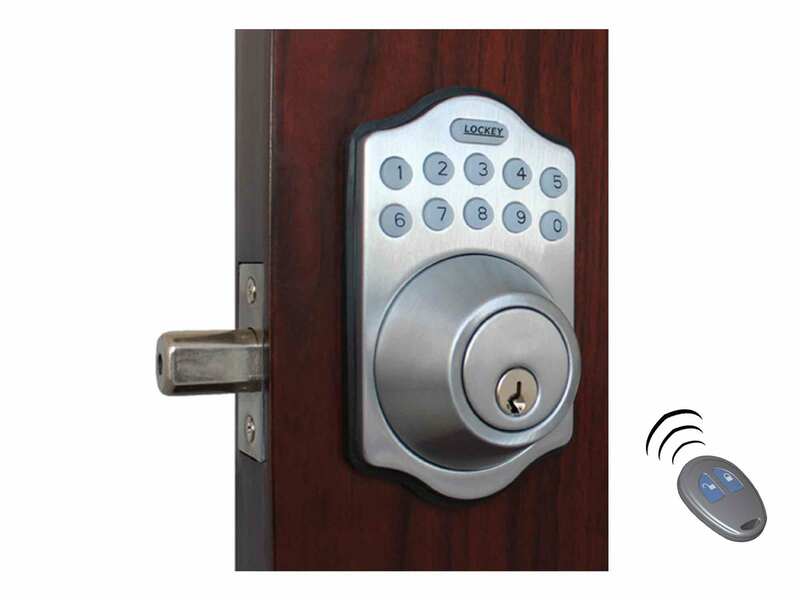 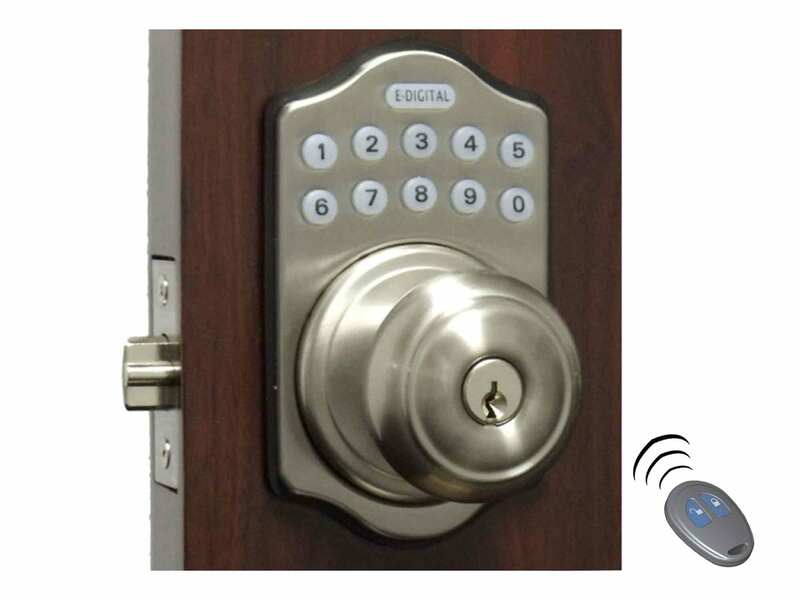 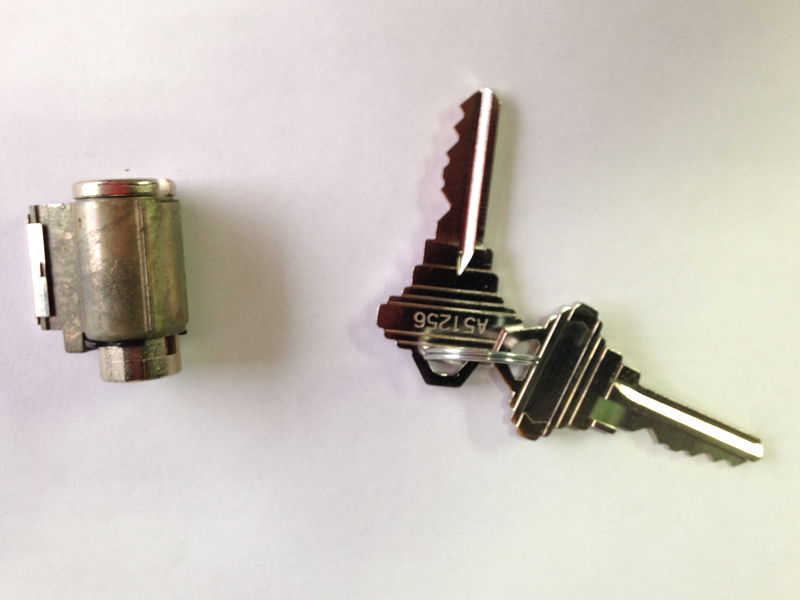 The Lockey E930 Electronic Knob-Handle Latchbolt Lock (E-Digital) can have up to six unique user codes and one disposable user code, key override an illuminated keypad, auto-stop function, auto-lock function, and both audible and visual confirmations. 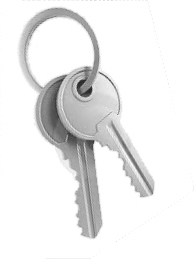 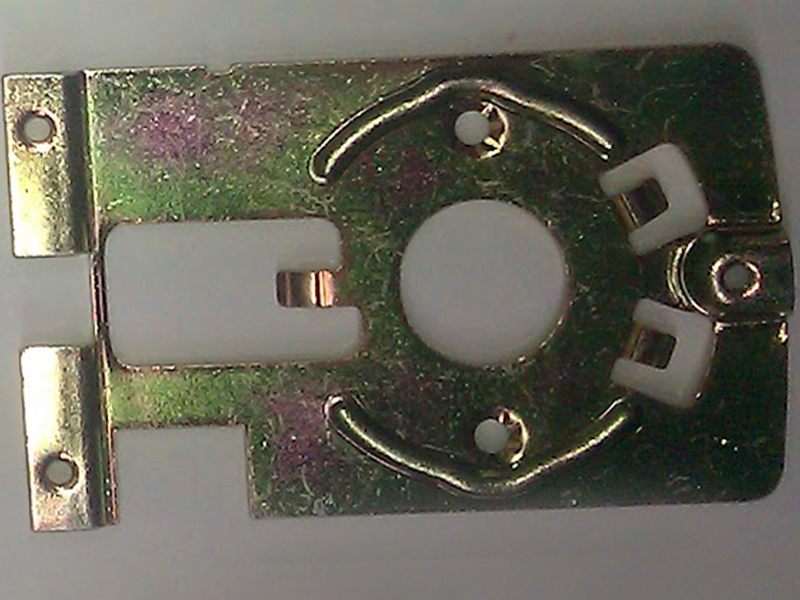 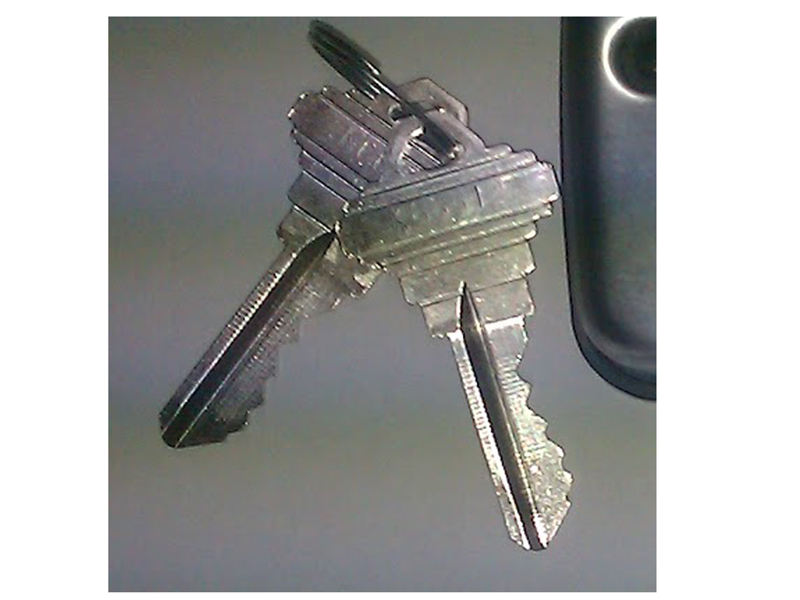 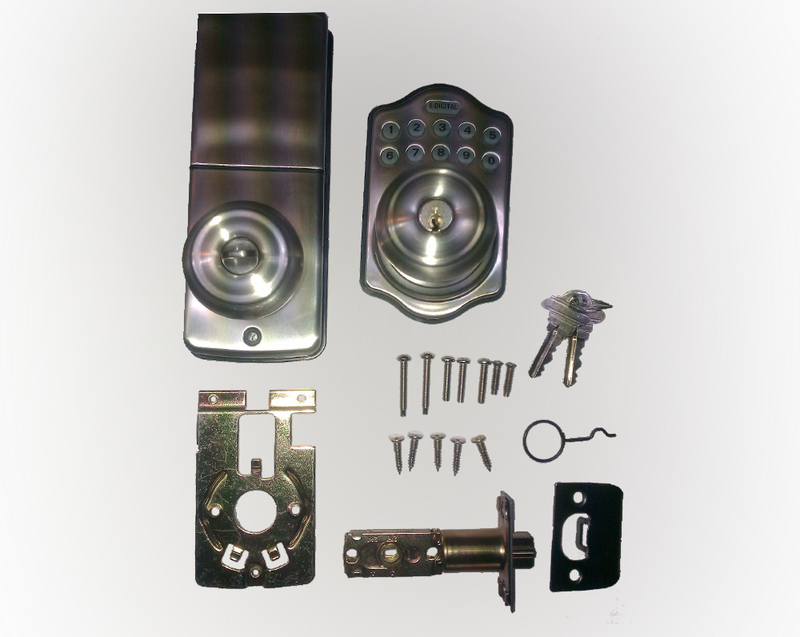 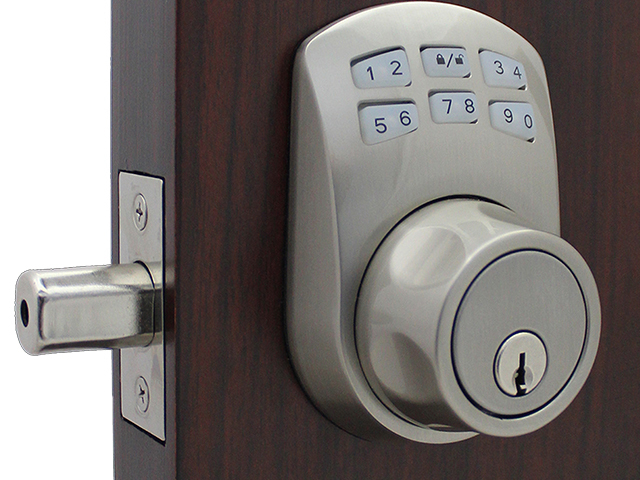 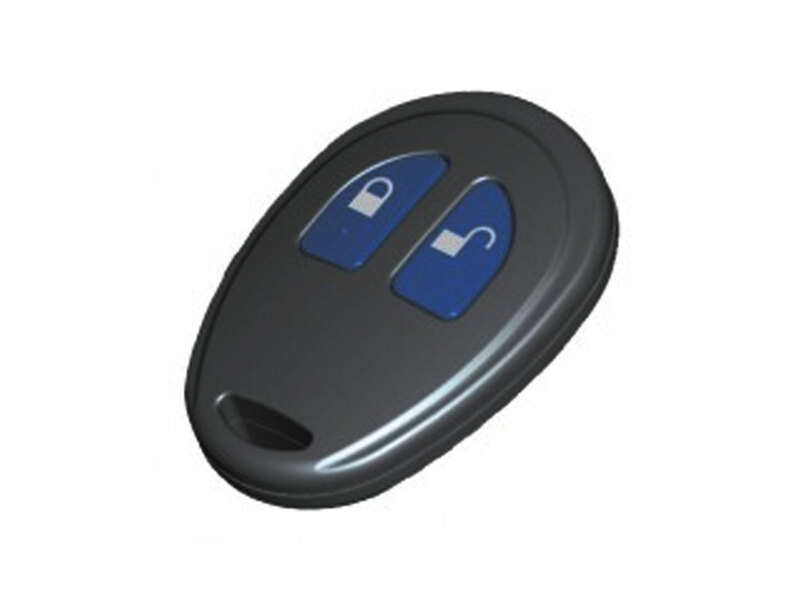 In addition, the front door keypad doorknob can support up to 5 remote key fobs (sold separately). 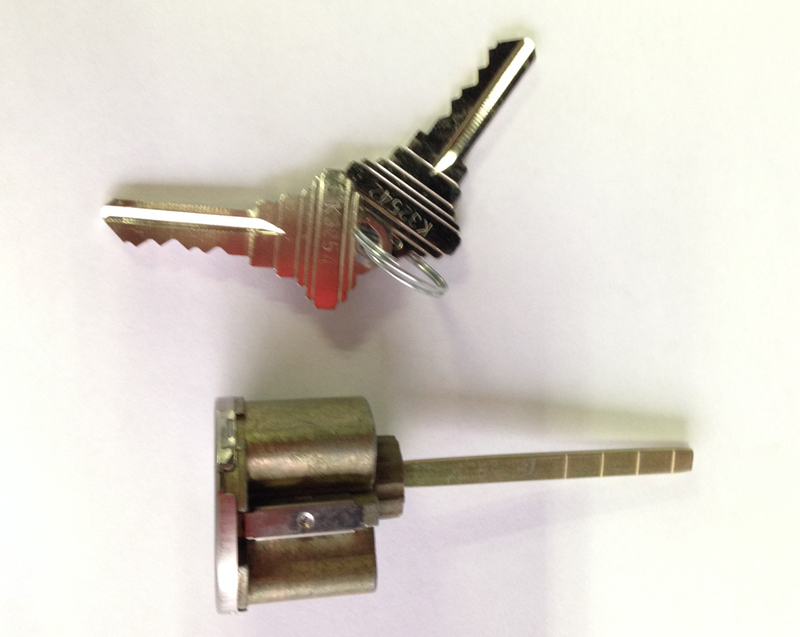 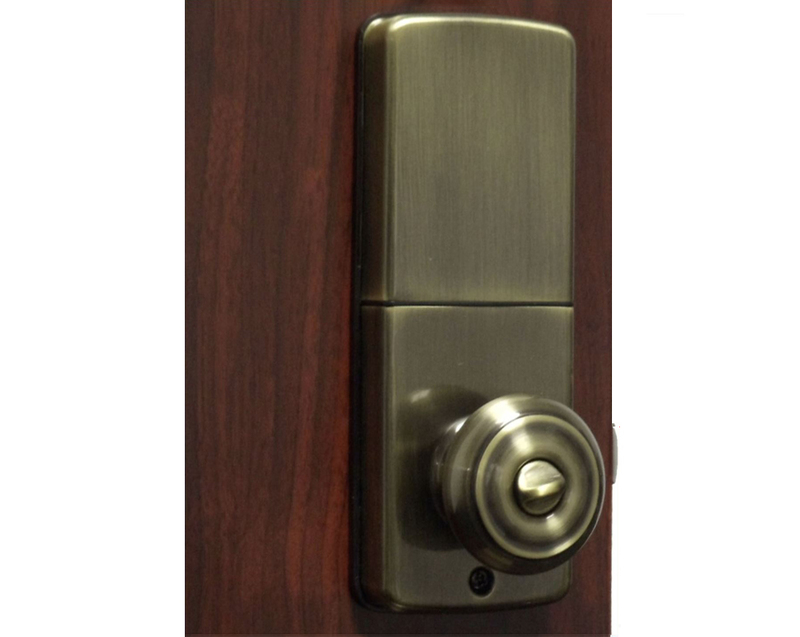 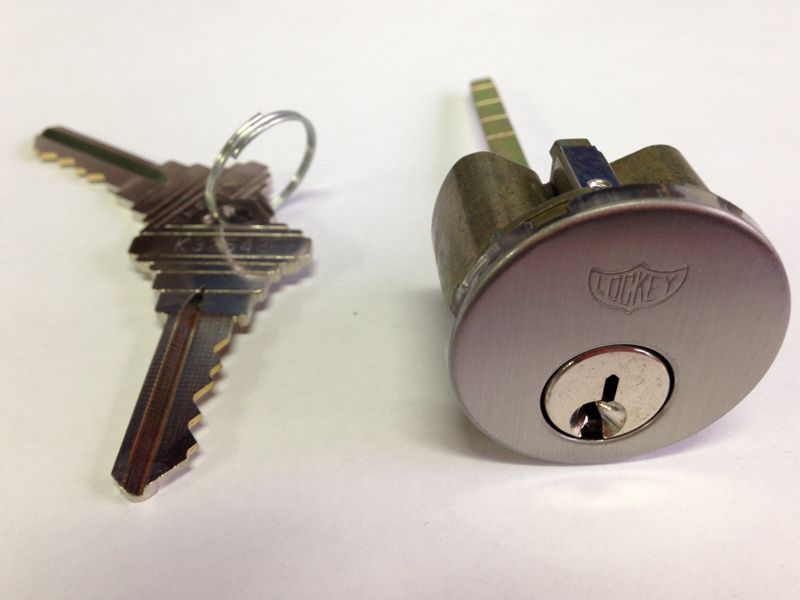 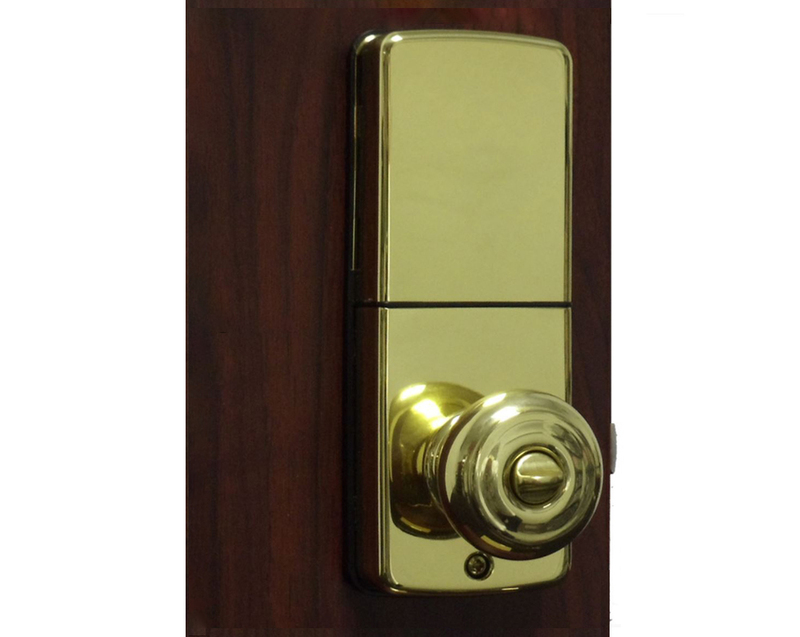 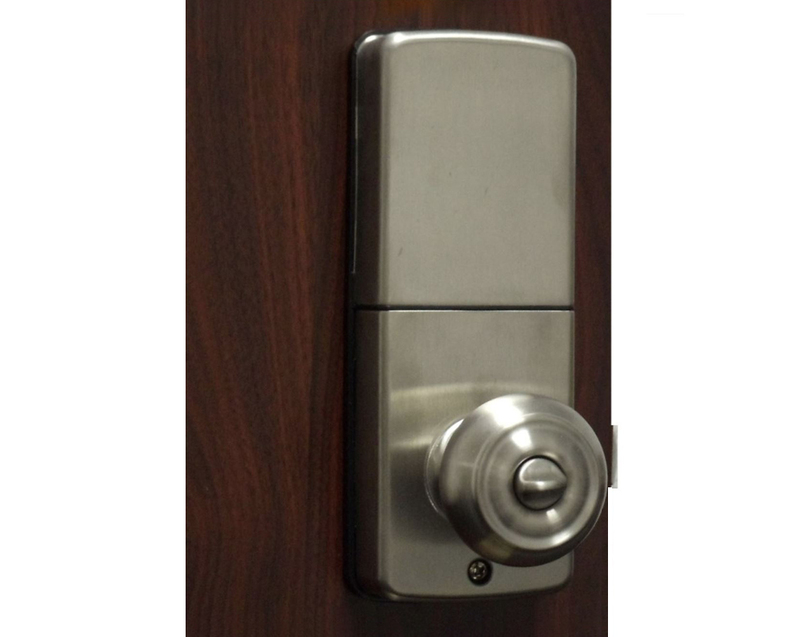 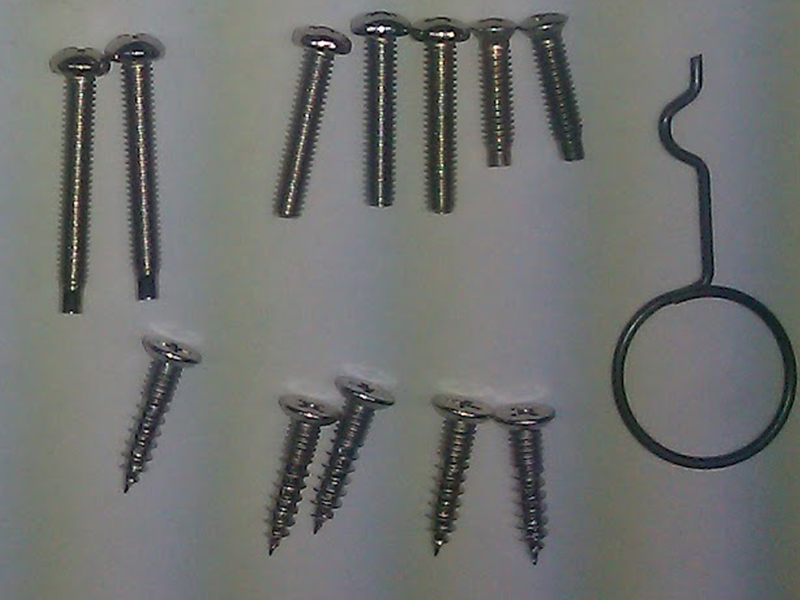 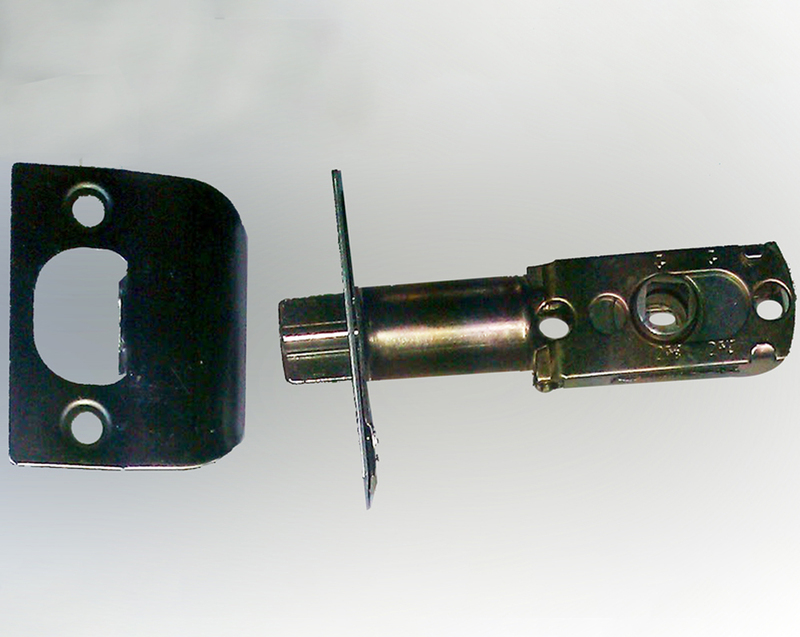 HANDLE: Locks with a fully round knob-handle which is easy to grab to pull/push a door open. 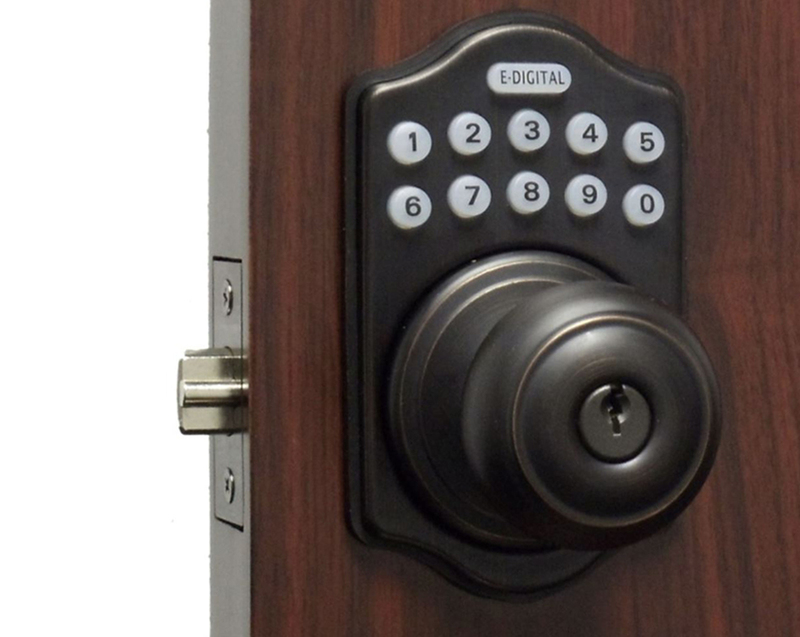 Outside electronic knob body is weather resistant.